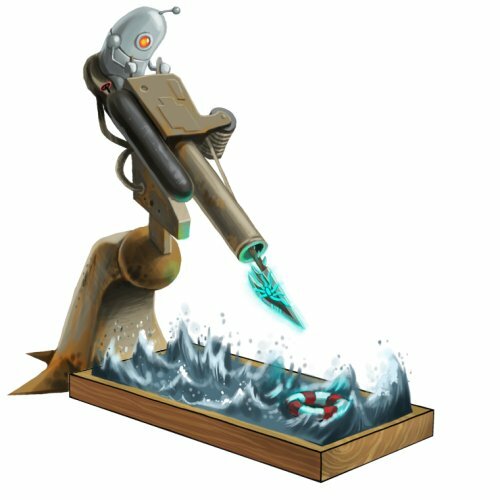 The Ancient Spear Gun is a Hydro weapon. A launcher rigged to fire an ancient spear of the Elub tribe. The glowing spear possesses magical homing properties that make for an incredibly accurate shot. The Ancient Spear Gun is not sold by any Trapsmith. It can only be crafted given the proper ingredients. Net Cannon - Source for Launcher Parts. Harpoon Gun - Source for Launcher Parts. A complete list of all Hydro weapons can be found here. On 29 July, 2015 the point requirement for the Ancient Spear Gun was lowered from 12,000,000 to 3,500,000. This page was last edited on 27 January 2019, at 01:04.